Norton Manor Hotel and Restaurant - perfect for discreet weekends away or bespoke party weekends in beautiful mid-Wales! With 12 en-suite bedrooms full of character and individuality, and surroundings and views that will make you want to extend your stay, Norton Manor offers you an exclusive experience which will leave you feeling relaxed and lucky that you discovered this well kept secret of mid Wales. As you approach Norton Manor along the 3/4 mile driveway, you will be impressed by its splendour. Set in the beautiful, rural countryside of Radnorshire, our Victorian Manor House was built in 1858 and subsequently became the home of Sir Richard Green-Price, the 1st Baronet of Radnorshire, and his extensive family. Sir Richard owned what is now the village of Norton and beyond. 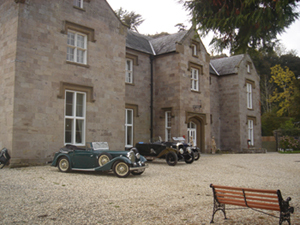 Norton Manor is convenient for local activities including; golfing, fishing, shooting, hunting, horse riding, tennis, karting and we are 15 minutes away from the Phil Price Rally School.